At a Nevada Athletic Commission hearing Tuesday, the immediate fighting futures of UFC lightweight champion Khabib Nurmagomedov and Conor McGregor were determined. 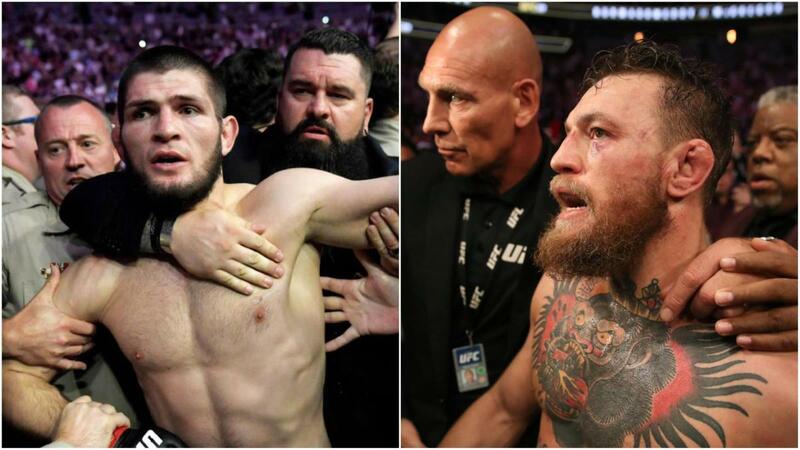 The two men and Nurmagomedov's teammates were suspended by the NAC following the post-fight events of their UFC 229 bout that Nurmagomedov won by submission. Afterward, he started yelling at McGregor's cornermen, jumped the cage, and jumped into the middle of the group, setting off a near riot that saw a member of his team punch McGregor in the cage while he wasn't looking. After discussion and deliberation with his counsel, Nurmagomedov (not in attendance) was suspended for nine months and fined $500,000 retroactive to October 6th, the night of UFC 229. The suspension can be reduced to six months if Nurmagomedov participates in an anti-bullying PSA campaign. The six month suspension would make him eligible to return in April while the nine month suspension would clear him for July and possibly the organization's annual event during International Fight Week depending on the date. However, a wrinkle in that return is the one year suspensions and matching $25,000 fines handed out to his teammates Abubakar Nurmagomedov and Zubaira Tukhugov, also not in attendance. ESPN's Ariel Helwani said he doesn't expect Nurmagomedov to fight until those suspensions are up which would put the lightweight title on ice for a year. McGregor (not in attendance) was suspended for six months and was fined $50,000 for his role at UFC 229, making him eligible to return as early as April. He was chided by NAC officials for his pre-fight rhetoric against Nurmagomedov and his family, prompting officials to suggest fighters would be fined in the future for what they say and not just what they do.